Wah...cendol!!! Sedap!!! The cendol in Msia is very different from the cendol at our little island. Just love the cendol in Melaka! 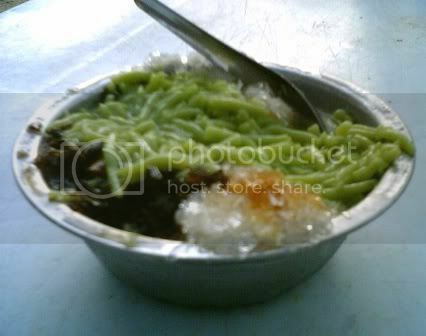 Oh man, how I miss cendol! Love the Indian rojak too. anyho, my best loved m'sian dessert has to be SAGO GULA MELAKA! kenot dibanding! hah! leisha, try my sago gula melaka then! Rojak & cendol r die for. Last time, I always get them from Pudu market. They taste superbly good. I did try making my own rojak here. Gosh!!! so time consuming lah. But end result was not bad. 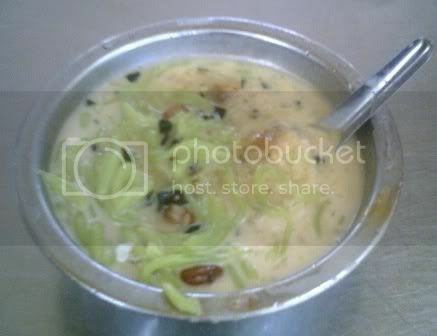 Planning to make my own cendol this summer. Grrrr, that bowl looks so good. 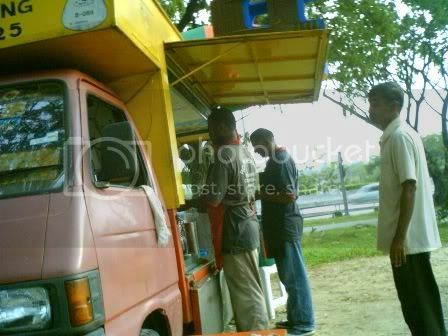 At least he was generous with the cendol as I had to fish for mine in Subang Jaya. puspha, if you have the recipe do share! What about the pasembor or rojak? If you try, please take a pix too, ok? Does it come with yellow noodles just like the Melaka ones? Wah, bui tahan. jadepearl, sau tou. its gonna be my excuse to go makan!